Acupuncture is an alternative and complementary healing modality in Traditional Chinese Medicine. Acupuncture treatments involve using small needles to stimulate acupressure points located throughout the body. In Traditional Chinese Medicine, these points are believed to connect to different functions of the body. In Western medicine, these points are connected to tissues, nerves and muscles – when stimulated with needles, blood flow increases and stimulates the body’s natural painkillers. Acupuncture is a minimally invasive treatment and you won’t even feel the needles! Acupuncture can be used as both a preventative treatment to enhance good health or as a complementary treatment to reduce pain, speed up healing, induce relaxation, and alleviate stress and pain. Add $15 per session for cupping, electrical stimulation or moxa. 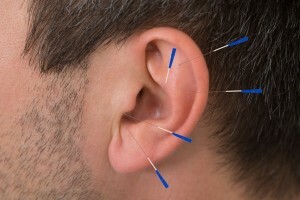 For more information about acupuncture visit the Mayo Clinic.